This is our largest round table. 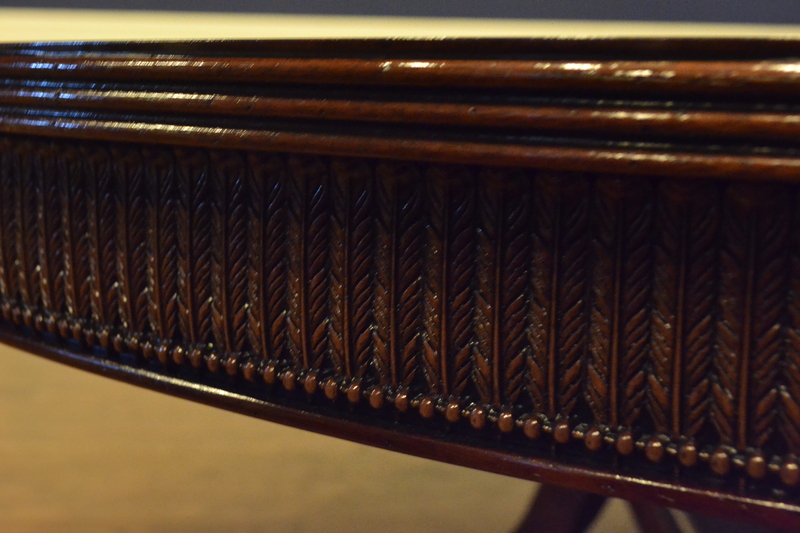 It features a slip-matched swirly crotch mahogany field with a contrasting swirly crotch mahogany border separated with an ebony/maple (black/white) inlay line. 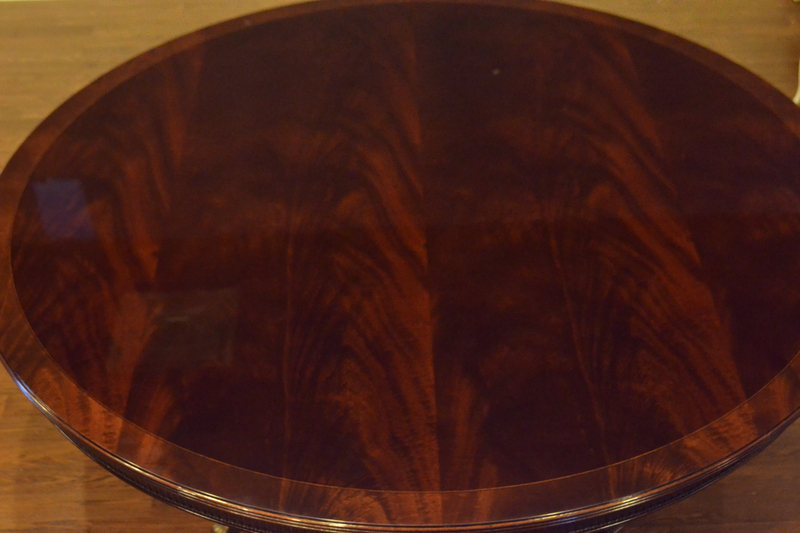 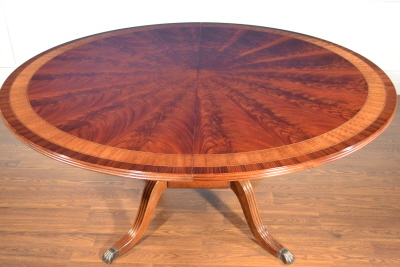 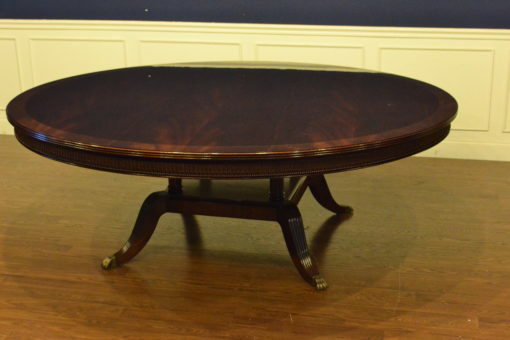 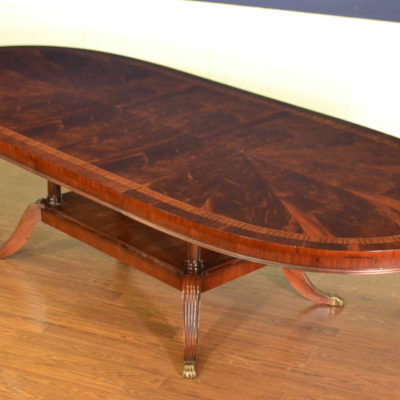 It has a solid mahogany reeded edge with a perimeter skirt which features a wheat design. 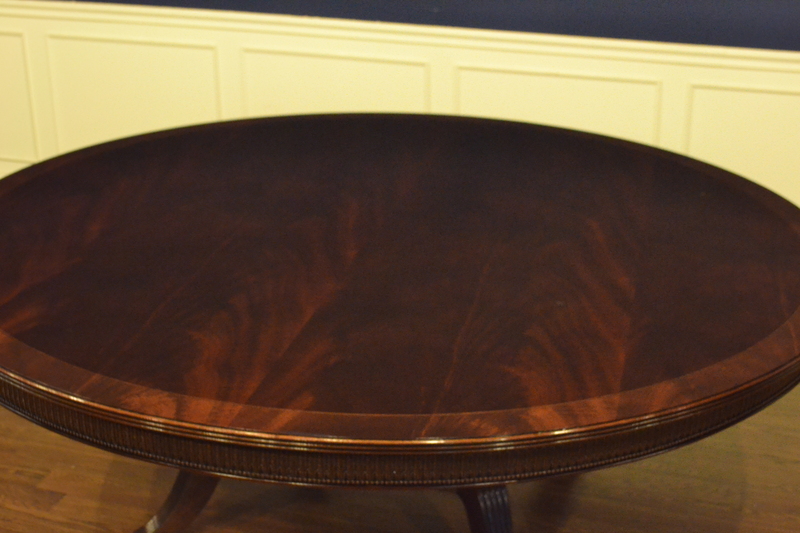 The top sits on our standard four leg birdcage pedestal with antique lion’s paw feet. 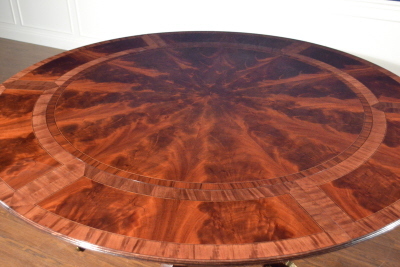 This table can be made to various sizes. Standard Dimensions (as shown): Diameter: 90 in. 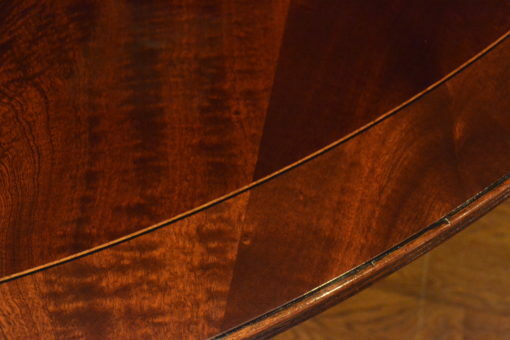 ; Height: 30 1/2 in.